One of the best parts of blogging, in my opinion, is getting to try new brands. There are the brands we all know (and love) and the personal favourites, and then the ones we've never gotten around to trying. 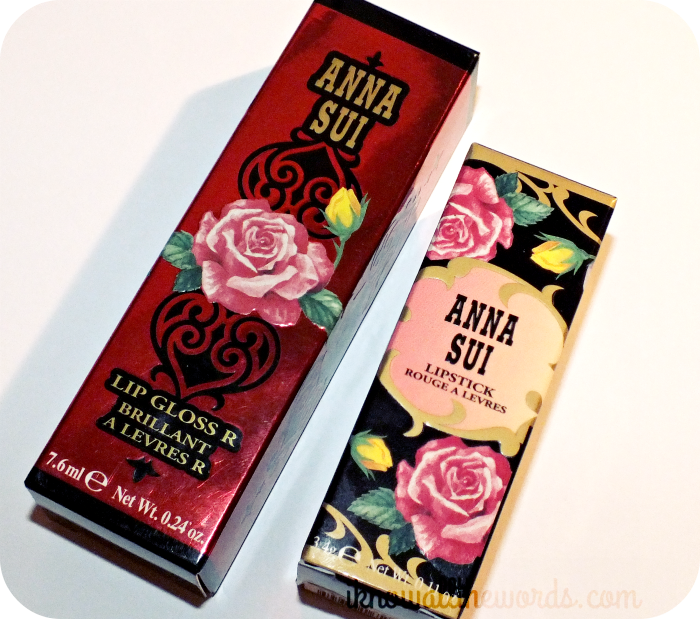 Anna Sui falls into the latter category for me, so I was pretty excited when I found Anna Sui lipstick and lip gloss in a recent package. 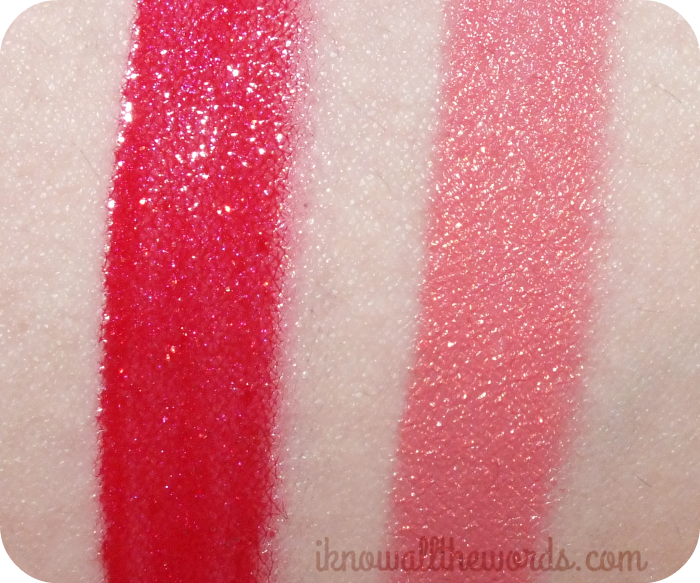 Reddish Pink is just that, a pink tinged red with purple, blue and pink shimmer that is semi-opaque. The shade is a really universal tone that would work on pretty much any skin tone. The formula is light and quite comfortable as it almost seems hydrating, making it feel more like a balm while on. 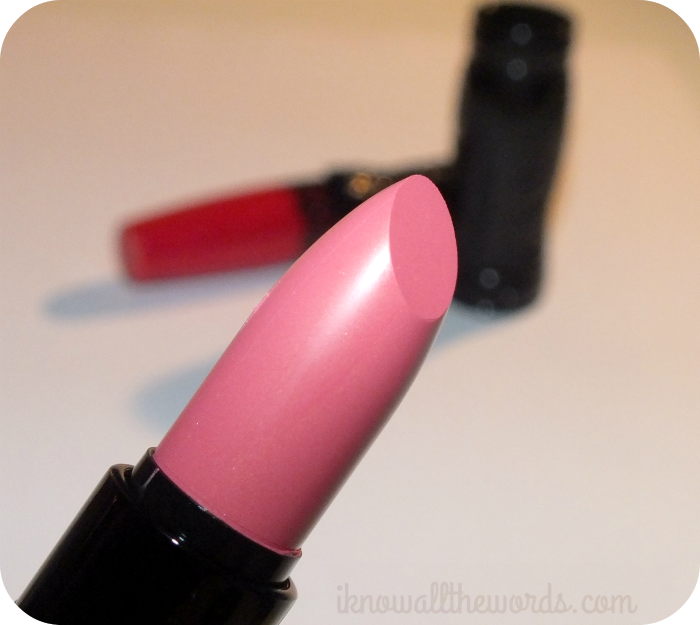 I expected this shade to stain, but it doesn't, so it will require a touch up as it fades if you want to keep your rosey lips. I found this didn't last all that long, but a reasonable 2-3 hours. 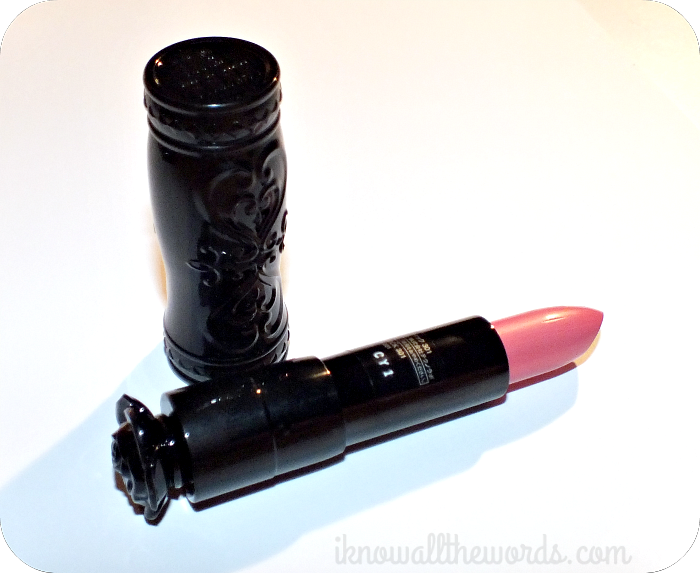 Anna Sui has two lip gloss formulas- Lip Gloss C which, from what I can find out is more sheer and Lip Gloss R (which I've shown above), a richer more opaque formula. I like that as a brand they've distinguished between the two, because it can be tricky knowing what a gloss is going to wear like, especially if the formulas in the same range differs. Coral Pink is a medium-pale peachy-pink with a hint of an almost metallic sheen. 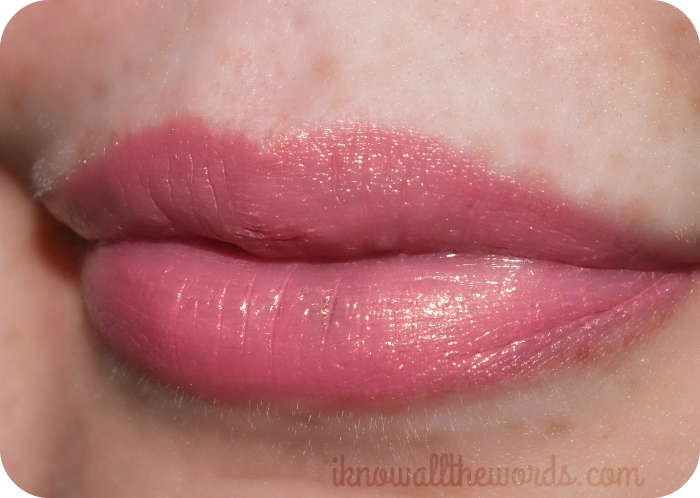 I don't find the shade to be coral at all, but it is a very feminine, pretty shade. 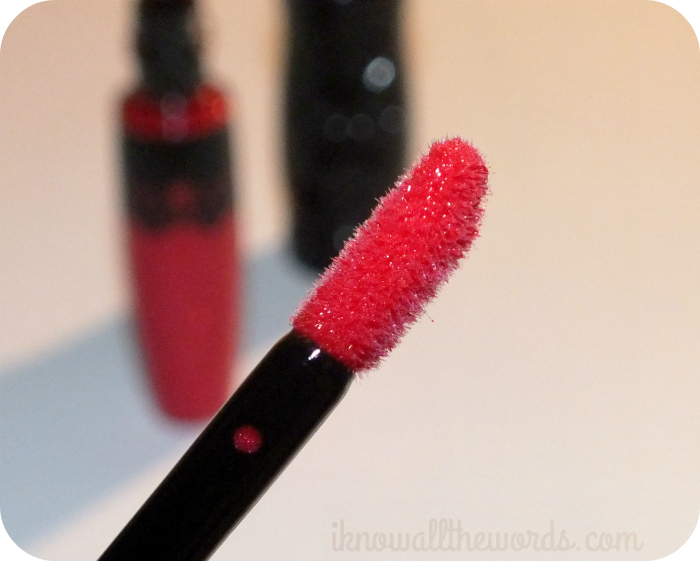 The formula is very smooth and light, with some shine, but also thin, so it easily catches on any imperfections. Prepping with a lip scrub and balm would be your best bet to get the most out of this shade. This feels amazing on, as it's so light and hydrating, but you do sacrifice wear time. I found it only lasted about 2 hours. 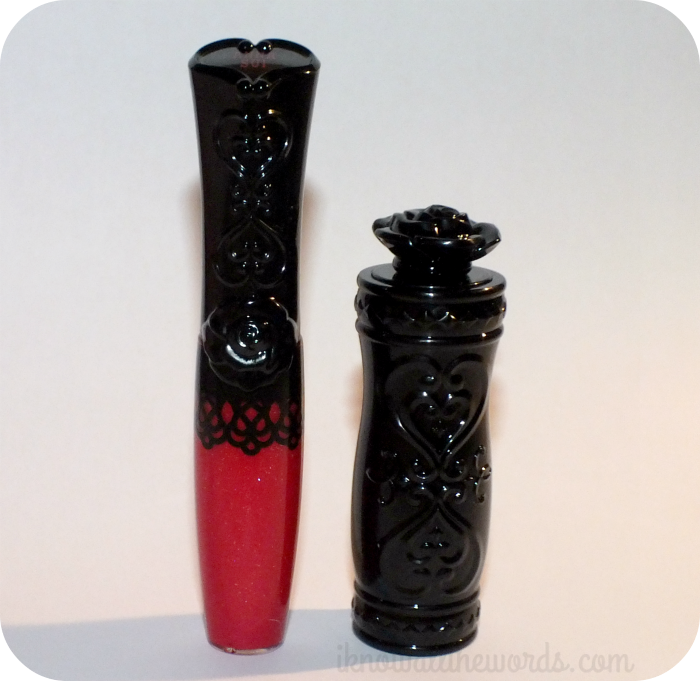 Both the lip gloss and lipstick come housed in tubes styled with the iconic Anna Sui black roses. The detailing is gorgeous but not overdone or garish- I think it's the fact that it's all one tone. 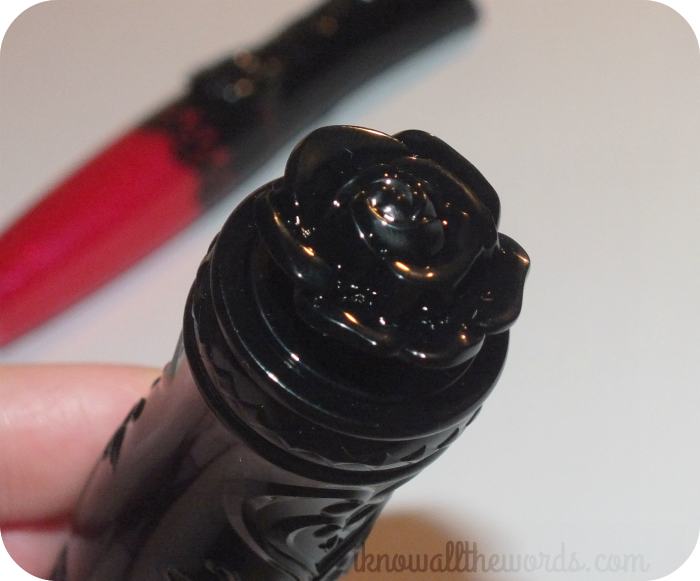 The lipstick tube is like a little work of art, complete with a relief rose on the bottom of the bullet and intricate detailing on the cap. The cap has the most satisfying *click* and closes quite securely, so you needn't worry about it coming apart in a purse/makeup bag. Both products have a rather strong rose scent and a bit of rose flavour. I don't love rose, but it's a realistic scent and it wears off reasonably quickly, so I don't find it bothersome, but it is worth mentioning. 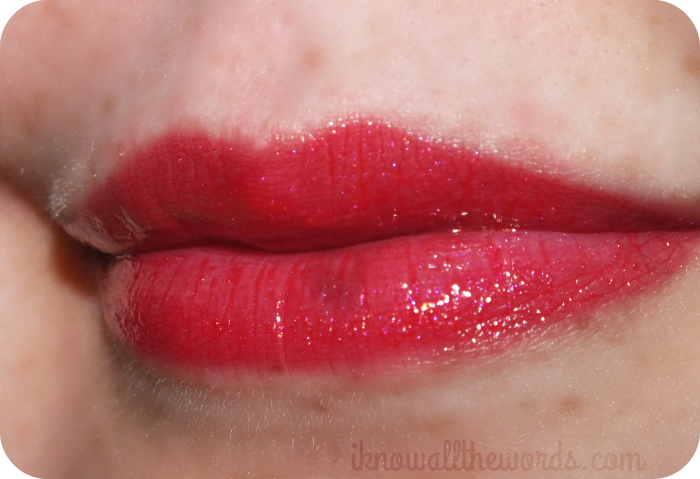 Overall, these are two lip shades that work well in any makeup bag. You really can't go wrong with either shade and the formulas are easy to apply and wear comfortably. Not the longest lasting, but I'll take comfort over wear time any day when it comes to lips. Anna Sui Cosmetics are available at select Hudson’s Bay, Shoppers Drug Mart, Pharmaprix, Murale and Jean Coutu stores across Canada. 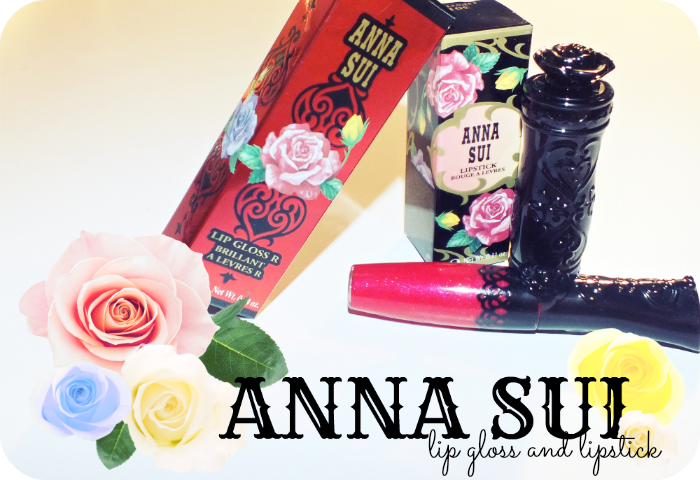 Have you tried any Anna Sui products?